Your kids will love this free wildflower unit study and lapbook along with some hands-on ideas, crafts, lesson plans and fun activities. Hopefully, this will help your kids get excited about a fun nature study about wildflowers. Wildflowers are so beautiful and mysterious. It’s nice to know that like our kids, flowers aren’t perfect or orderly. They are beautiful, in their own way, and unique just like our precious kids. I hope you all enjoy this great and colorful nature unit study. 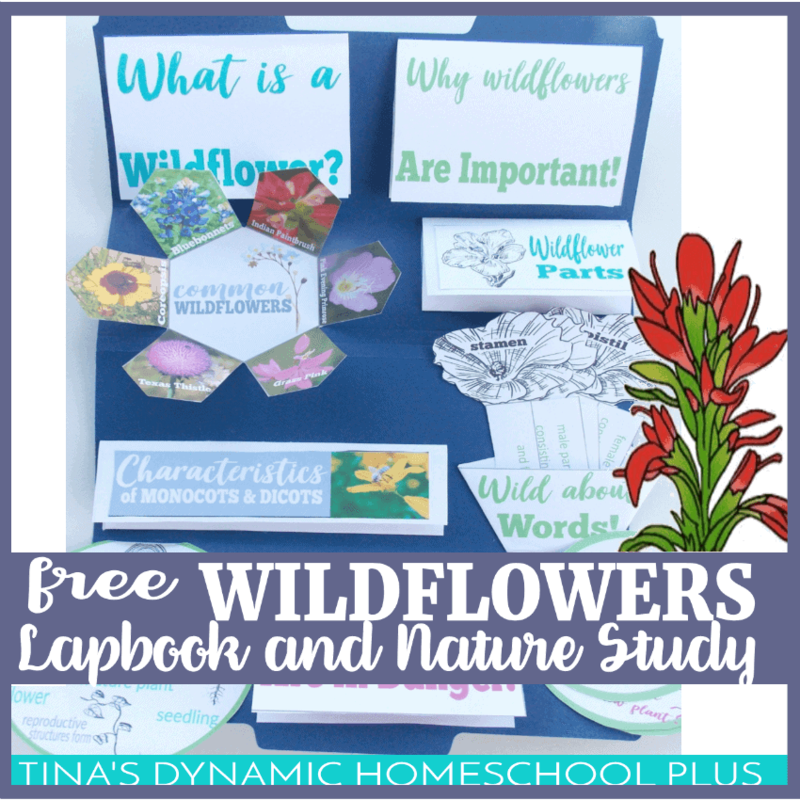 Click here to grab this free wildflowers unit study and lapbook from Tina’s Dynamic Homeschool Plus.